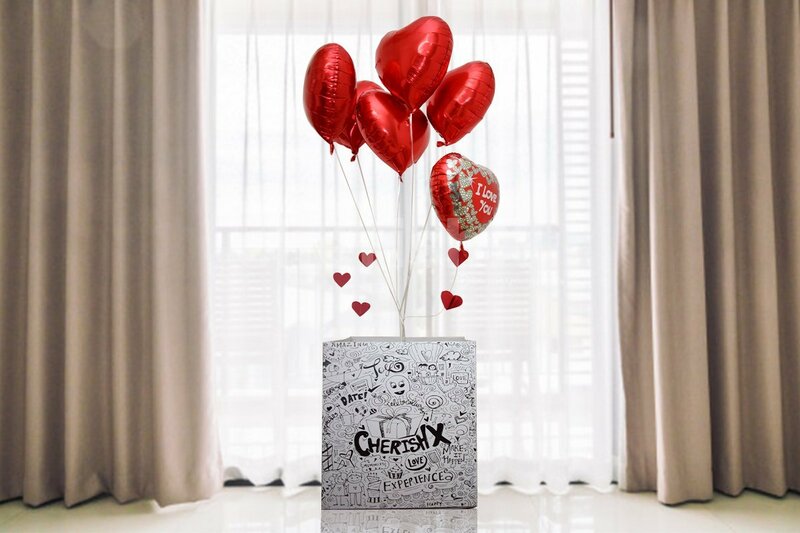 Celebrate 14th February- cupid-approved date of love with a surprise box full of balloons. Hi lovebirds! 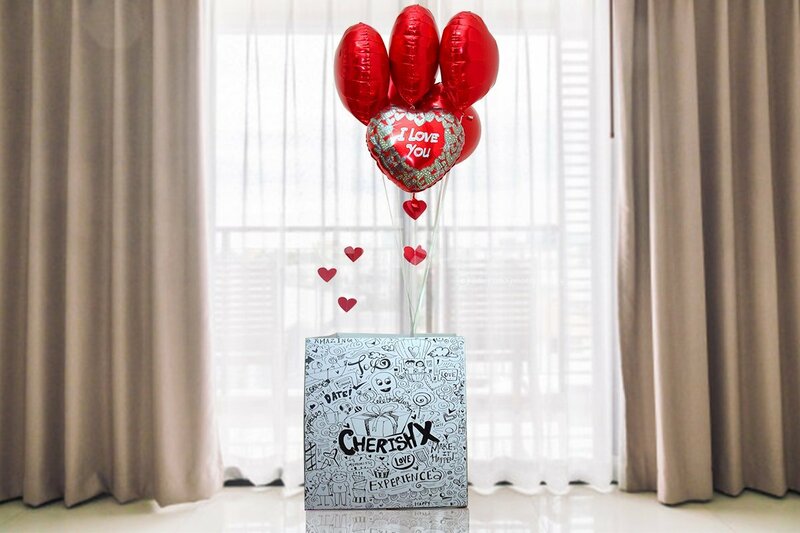 We know you are waiting for Valentines to arrive soon but have you planned any surprise for your darling? 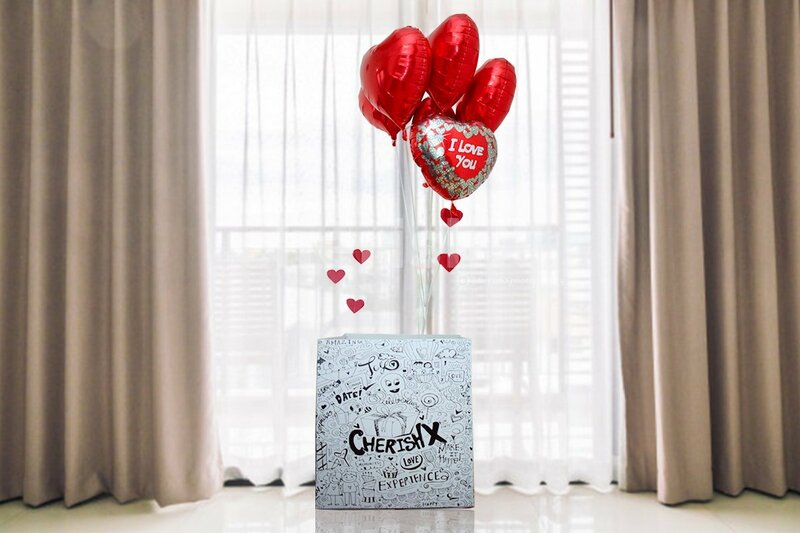 If not yet, worry not, CherishX has curated a box of surprise specially for Valentines.The surprise box consists of beautiful balloons- red heart shaped balloons, an I Love You foil balloon & cute little heart strings. Let them unbox love on the day of romance! The love of your beloved will flow in rhythm as the balloons do in air when they open this box of filled with happiness & love. The heart strings won't give a remiss in entangling the hearts of you both. This is surely a sweet way of beginning your Valentines or even gifting them one in evening. The surprise box in itself looks so pretty & fascinating that no one can wait long to open it up.